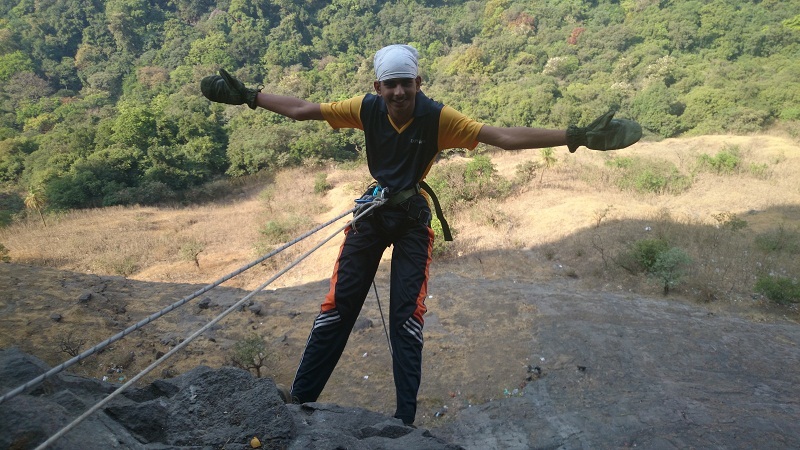 Dhak Bhairi is one of the nearest & Adventurous Trek in Sahyadri for Pune & Mumbai People. The meaning of Dhak Bhairi is “Dhak is name of fort & Bhairi means “Bhairavnath”. 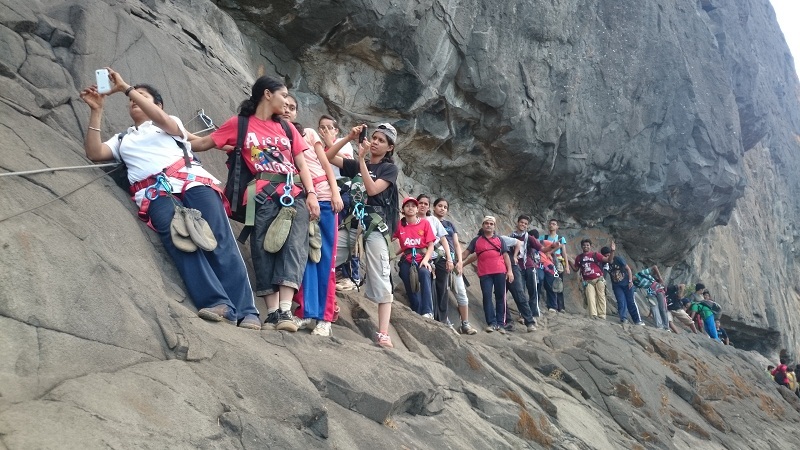 Just 2 hours Jungle trek takes us to the thrilling Dhak Bhairi Caves. 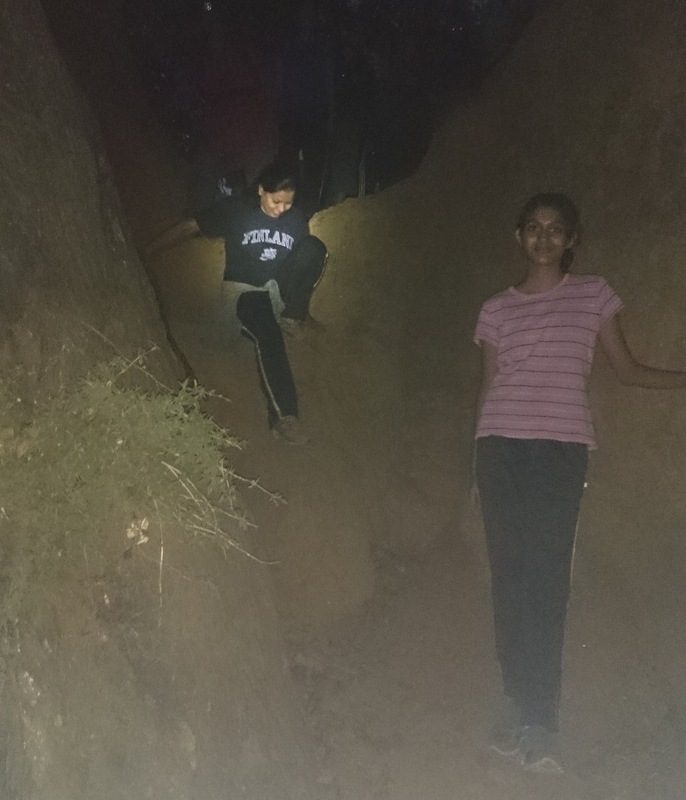 An important part of this thrilling trek is the cave, which is situated on the other side of fort. Walking for few minutes’ leads to a diversion and the way to left directs to a cliff called the cliff of “Kalakrai”. The narrow ridge between the cliff and the mountain descends to a narrow straight path where we come across two caves. One should proceed from here by taking support of the rocks and should be quite careful. Ascending the rock patch where a bamboo and a rope are used to climb to the caves. 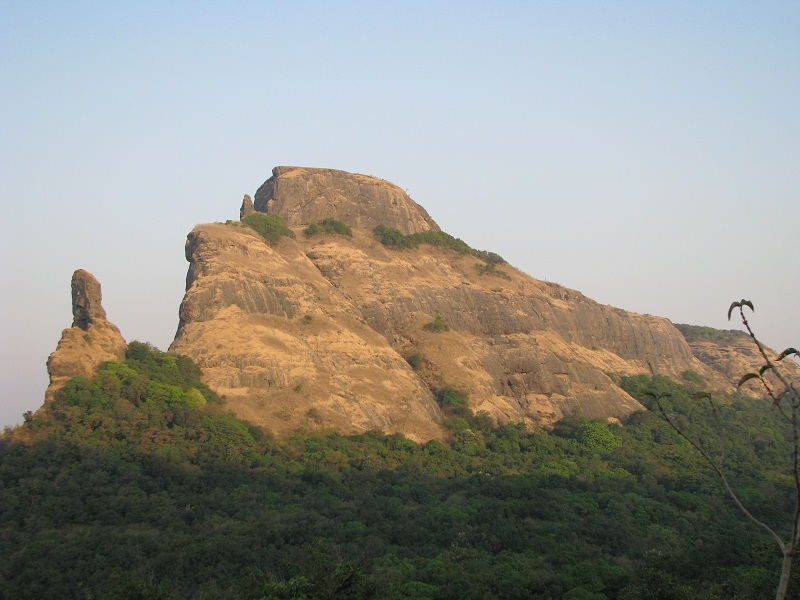 From the Dhak Bhairi caves, we can see the beautiful twin fort of Rajmachi, Shrivardhan & Manoranjan, Dukes Nose, etc. The fort was discovered by great historian G.N. Dandekar. Please Call for availability before you book Dhak Bhairi Trek, to avoid 5% Transaction Charges. 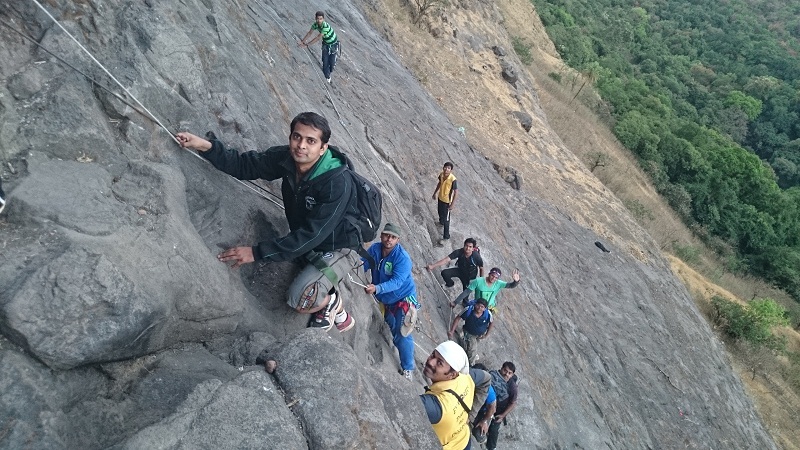 Last date of Registration for Dhak Bhairi Trek: 15 November or till seats left. 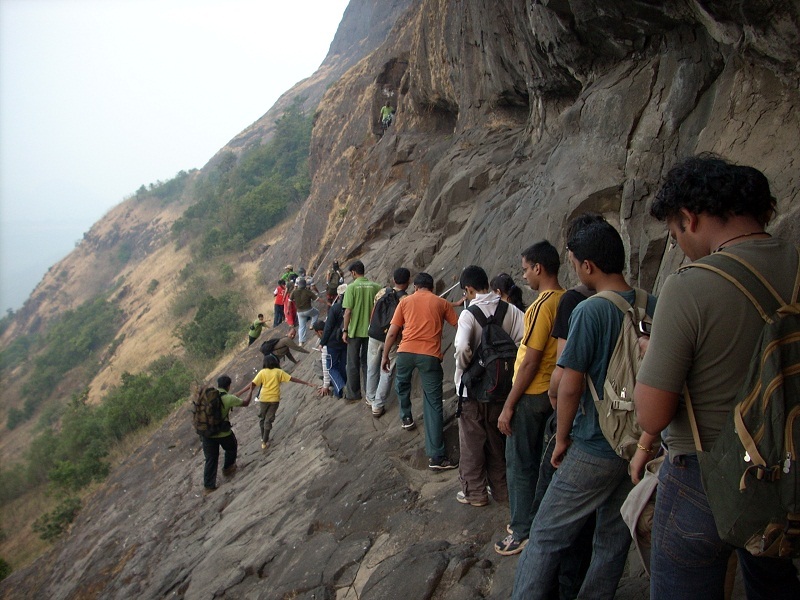 Departure Date & Time for Dhak Bhairi Trek: 17 November by Sharp 09.00 pm, from Shivajinagar Railway Station. 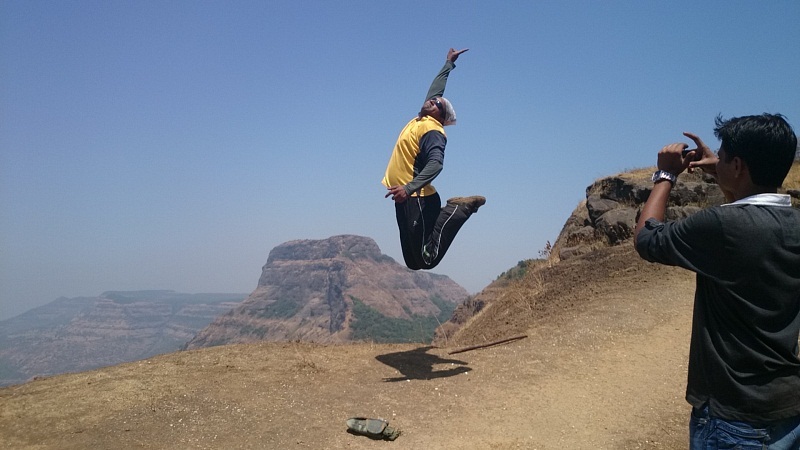 Arrival Date & Time for Dhak Bhairi Trek: 18 November by 08.30 pm, Shivajinagar Railway Station. Meeting Time and Place for Dhak Bhairi Trek: 17 November by sharp 08.45 pm at Shivajinagar Railway Station. 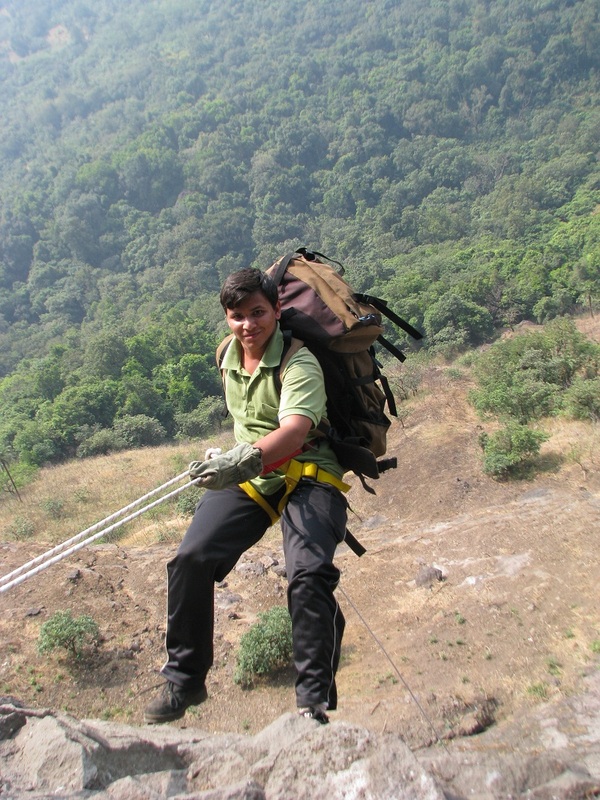 Walking Time (estimated) for Dhak Bhairi Trek: 2 hours Jungle Trek & 30 Minutes Rock Climbing & 2 hours return Trek. 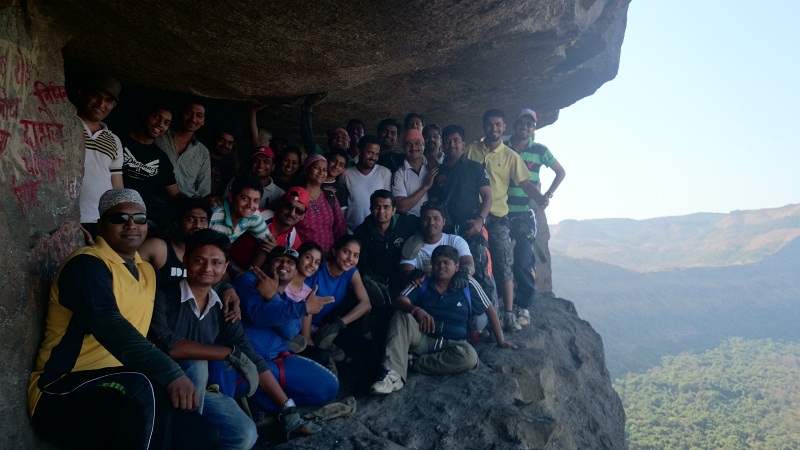 Age Group for Dhak Bhairi Trek: 15 to 50 Years (People above 50 years will be allowed after meeting at Explorers Office. 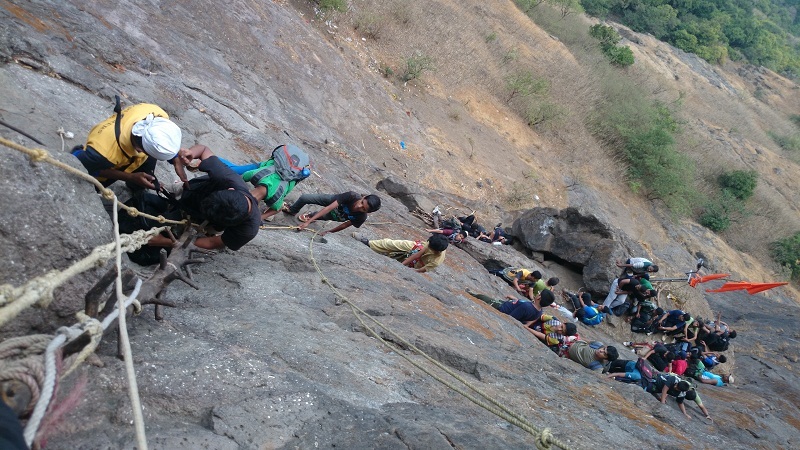 Mode of Transport for Dhak Bhairi Trek: Pune – Kamshet – Pune by Local & Kamshet – Jambhivali – Kamshet by Sumo. 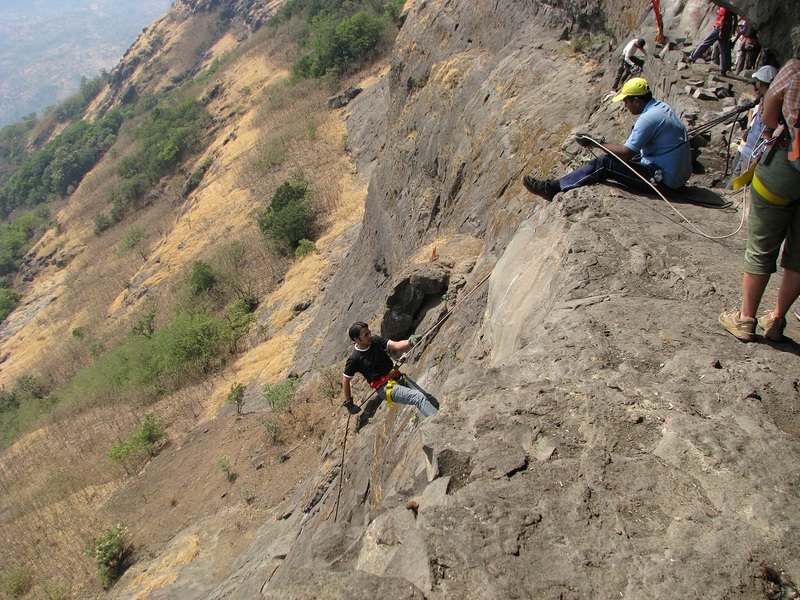 Route: Pune – Kamshet – Pune. Come to shivajinagar railway station on Platform No.1. Give attendance to the Team Explorers. After refreshment have a Tea & Briefing about Dhak Bhairi Trek. Start 2 hours Jungle Trek towards Dhak Bhairi. Reach base of Dhak Bhairi. Equipment Introduction. Dos and Don’ts. Learn safety Techniques. Start Rock Climbing. Follow all the Instructions given by Team Explorers. Reach Dhak Bhairi Cave. Have a breakfast. Dos, Don’ts. 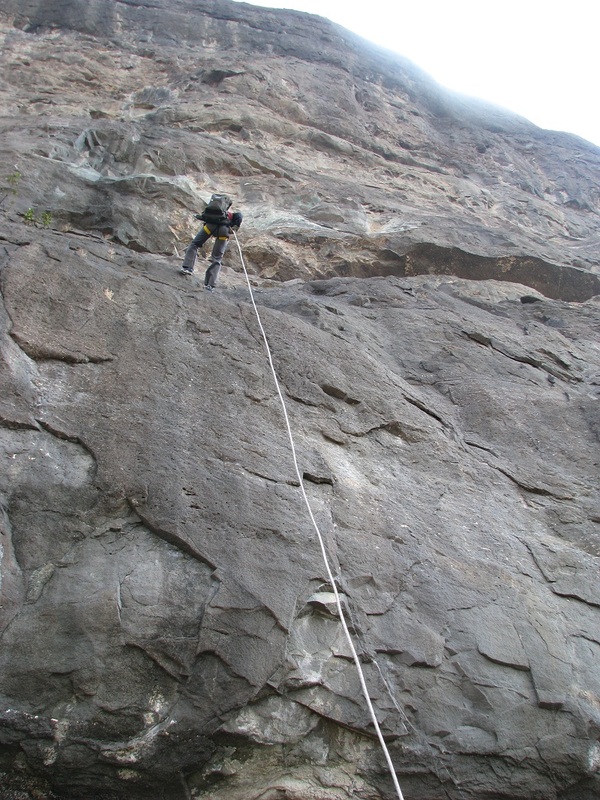 Learn about Safety Techniques to be used in Rappelling. Start Rappelling. Keep Patience while others are doing the Activity. Reach Base Village. Have a Lunch in Local Home. Start return journey to Shivajinagar Railway Station with sweet adventure memories. Booking Amount: Rs. 950/- Per Head Pune to Pune. Morning Tea & Breakfast(Limited), Lunch (Unlimited), Evening Tea. 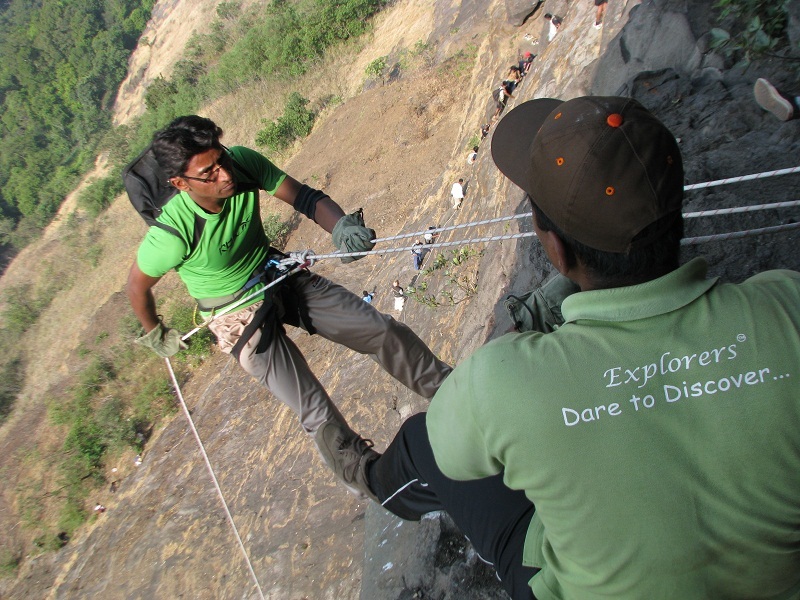 Trekking, Rappelling & Climbing with Experts. Minimum 3 Ltr. Water (Glucon – D OR Electoral, if required).